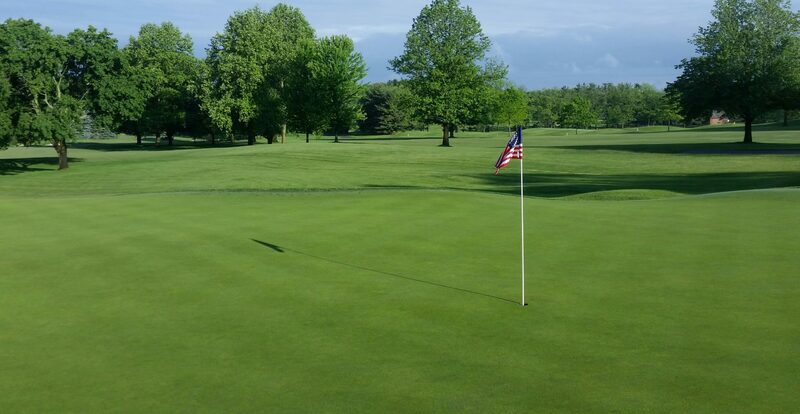 As a follow-up to the mass email that I sent to the entire membership earlier this week, here is the blog post, as promised, with some more detailed information about some of the changes we are making to the golf course this spring. The first photo below shows what the ridge on the 18th green will look like for a while. As stated in the email, Arthur Hills, architect of the green, made a return visit to check on the green and to evaluate some minor scalping issues we were having at the crown of the ridge that runs between the two tiers. 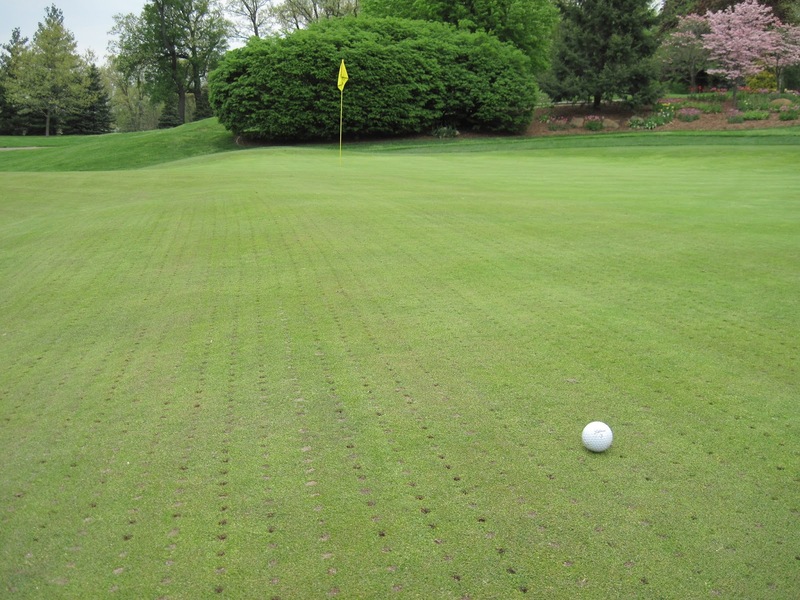 Under his recommendation, we will be aerifying the ridge 3-4 times with the hope that the ridge will soften over time and that the scalping will be eliminated. The holes will not be filled in order to encourage the soil to settle more rapidly. It’s a little difficult to visualize based on this photo, but hopefully you get the idea. 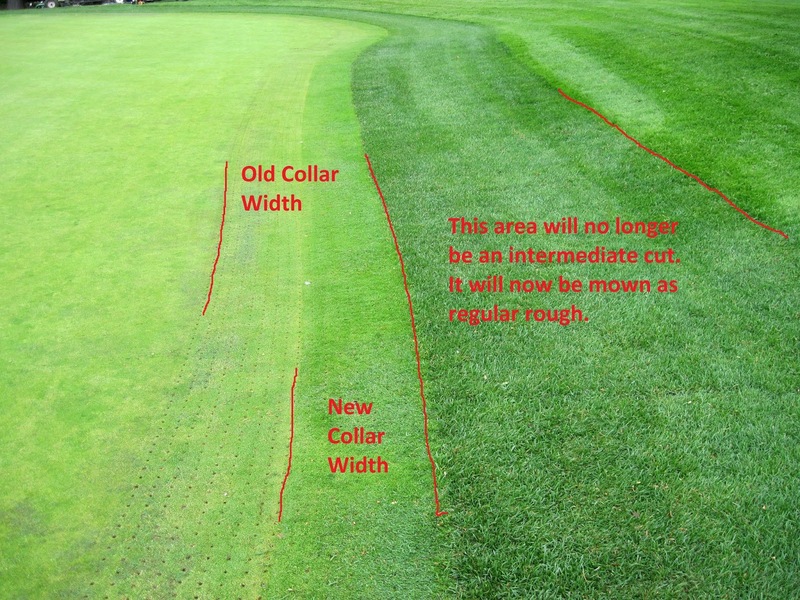 Another change that was implemented during last season, was the narrowing of the collars around the greens from two mower widths to a single mower width. This has been a long process of multiple aerifications and mowing at gradually lower levels in order to achieve the final result, but I believe we are finally there. 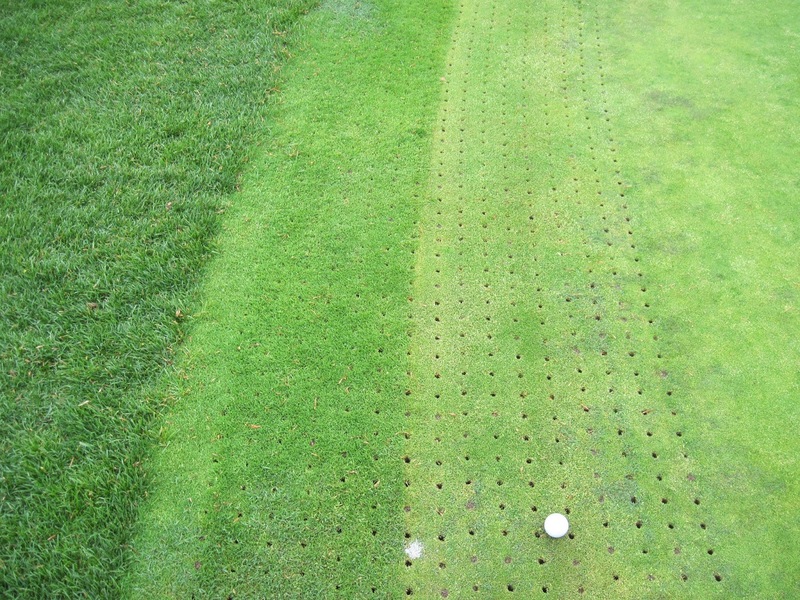 This next photo shows the appearance after what should be the last aerification of the collars. During the visit from Mr. Hills, he specifically commented on how much he liked this change and felt it helped establish better definition around the greens. Finally made it! Successful transition to a narrow collar. An additional change that Mr. Hills strongly recommended was to eliminate the Intermediate or “step” cut around the greens. He felt this would help accentuate the change to the collar, create even more definition and be a better architectural fit for the type of club that we have. He also felt the intermediate was far too forgiving since many people could actually putt from this area. This change was discussed at the last meeting of the Green Committee and was approved unanimously. Below is an edited picture to help summarize the changes that have been made. I encourage you to click on the photo for a larger view. If you have any questions or comments, please don’t hesitate to ask. If you haven’t subscribed to the blog, simply enter your email address on the right side of this page where it says “Follow by Email” and you will be automatically notified whenever I publish a new post. Like I wrote in the email, your information will not be shared.